Hi everyone! Today is a cloudy day, so I chose to wear my rain coat. I purchased the J Crew hooded basket-weave jacket last month and found out it was great for everyday wear, as well as for those rainy days. The hood is also great for protecting my hair and my makeup! 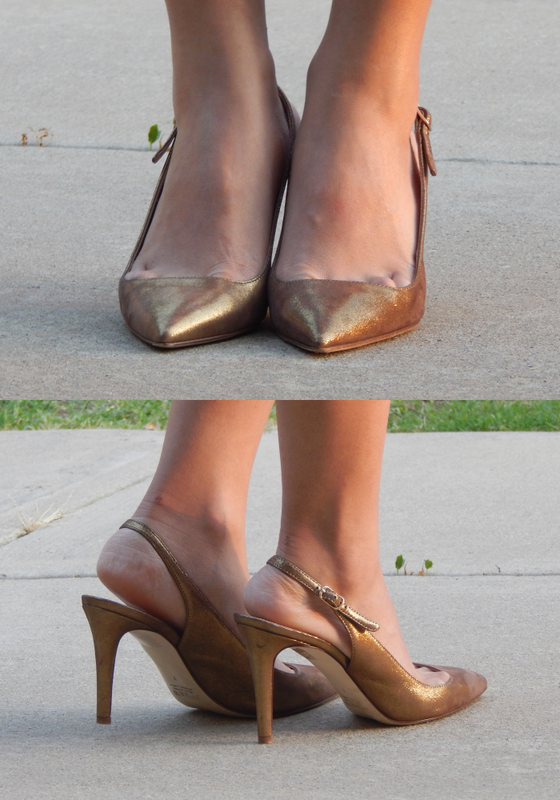 I have also found a pair of fashionable summer shoes I love, the J Crew Metallic suede slingback pumps! It can go with a lot of different outfits easily and is very comfortable! J Crew hooded basket-weave jacket, Banana Republic T-shirt (old) and pencil skirt (old, similar here & here), J Crew Metallic suede slingback pumps (in gold chocolate), Kate Spade New York 2 Park Avenue Beau purse (old, current version).